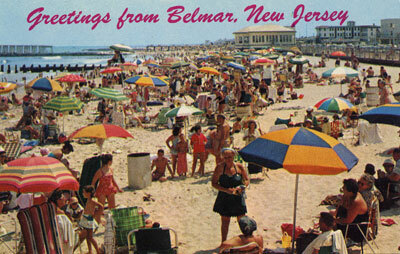 Everyone enjoys the soft sand and ocean bathing here, Belmar, N. J. 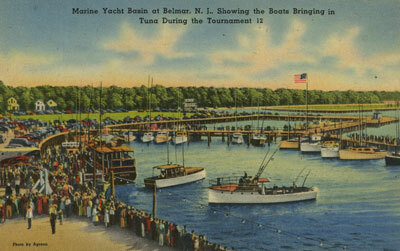 Scene from new fishing pier along beach frount, Belmar, N. J. 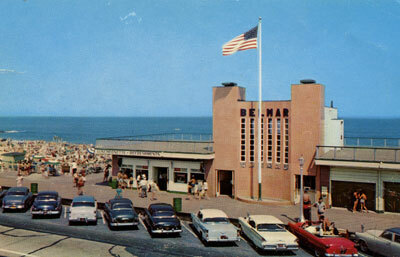 10th Ave. Pavilion Boardwalk and Ocean, Belmar, N. J. 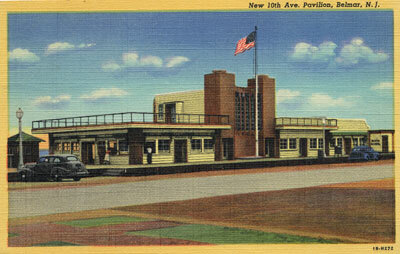 New 10th Ave. Pavillion, Belmar, N. J. 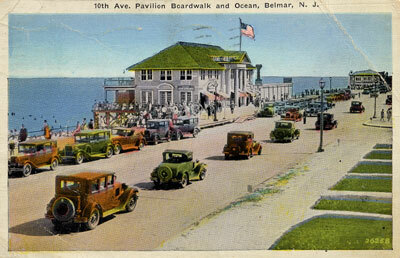 10th Ave. Pavillion, Belmar, N. J. 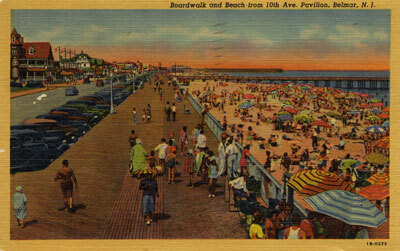 Boardwalk and Beach from 10th Ave. Pavillion, Belmar, N. J. 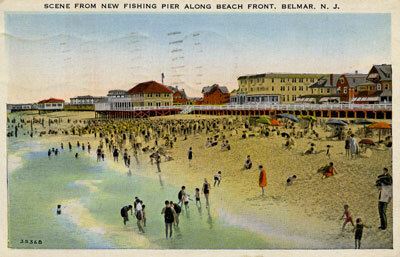 11th Avenue Beach at Belmar, N. J. 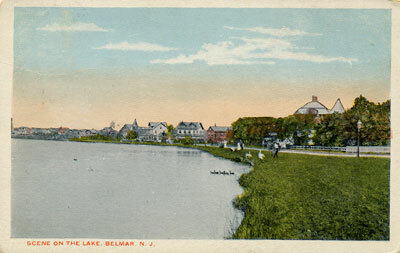 Scene on the lake, Belmar, N. J.
Greetings from Belmar, N. J. 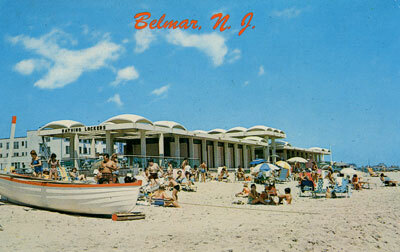 Marine Basin, Belmar, N. J. 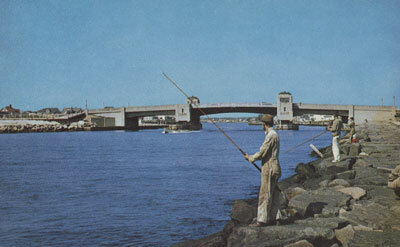 Fishing from Rocks, at Shark River Inlet, Belmar, N. J. 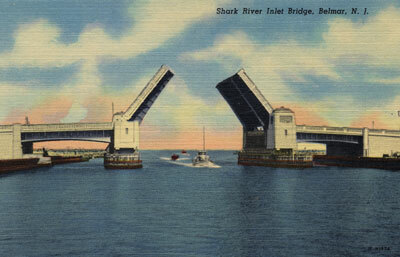 Shark River Inlet Bridge, Belmar, N. J. 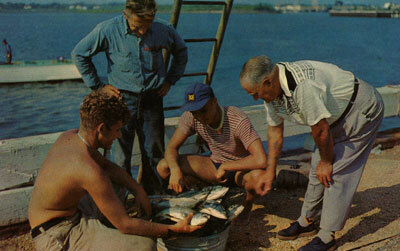 Day's catch of Blue Fish, Belmar, N. J.
R. R. Station, Belmar, N. J.
St Rose's Catholic Church, Belmar, N. J. 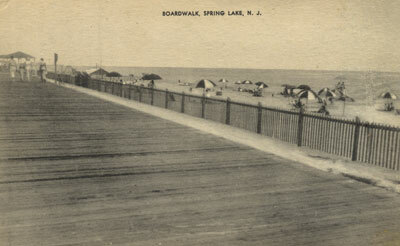 Boardwalk, Spring Lake, N. J. 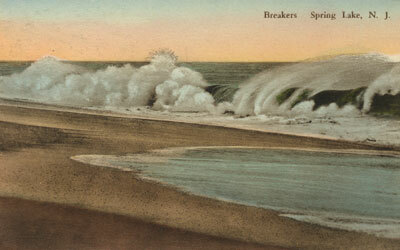 Breakers, Spring Lake, N. J. 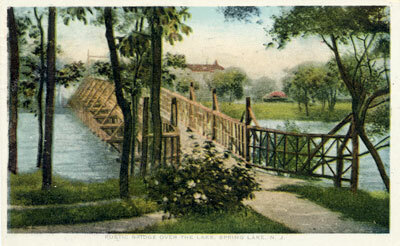 Lake View, Spring Lake, N. J.
Rustic Bridge over the lake, Spring Lake, N. J. 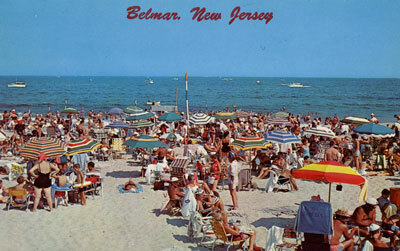 "My mother had told me they started to go to Belmar in 1930. 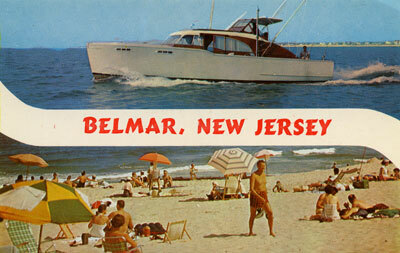 I know that only Dad had a car until after WWII. 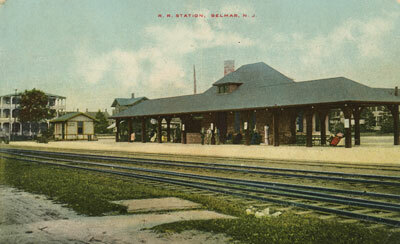 Some came down by train on weekends. 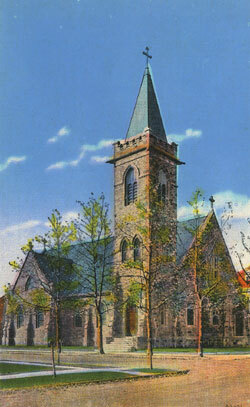 I know the Semerjians were part of the 4 families there in the beginning. 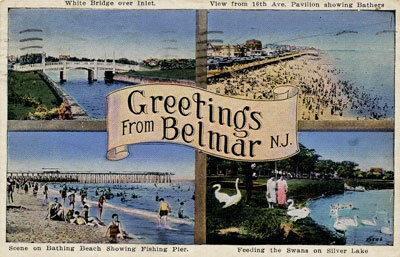 Alice and the boys, Mom and her two children spent the entire summer. 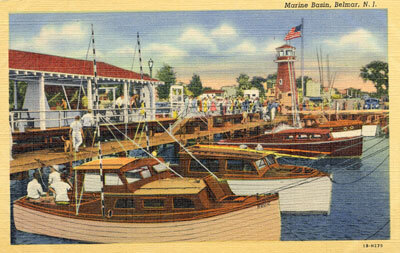 The others came down for vacations and weekends. 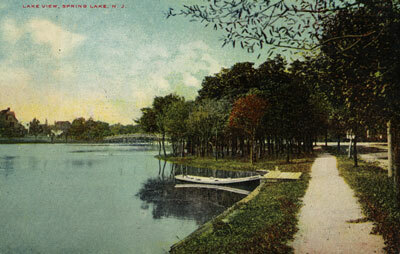 I have many fond memories of those days. 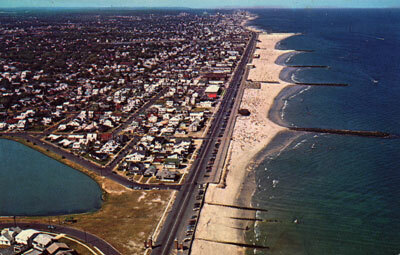 Surfing, clamming etc."